Luxury has a new address! This lead gen template is perfect for the real estate industry. Use it for a new development, standalone residence, or commercial property. 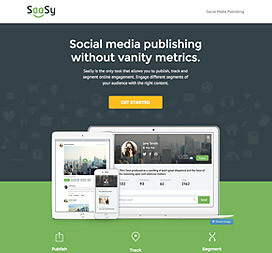 This SaaS click-through theme will help you ‘warm up’ your visitors in style. 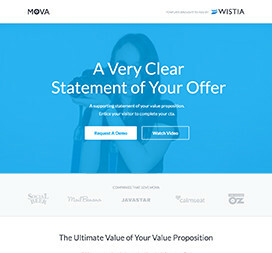 Ideal for convincing users to visit your sales page. Convert visitors into leads with a twist of urban panache. 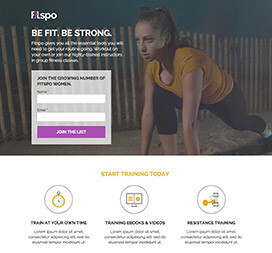 This bold theme gives you plenty of real estate to show why your health club beats the competition. 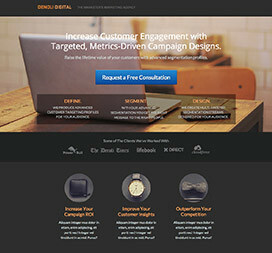 Perfect for showing off the services and reputable clients of any marketing or creative agency. If your potential clients need to see lots of detail, use this theme.